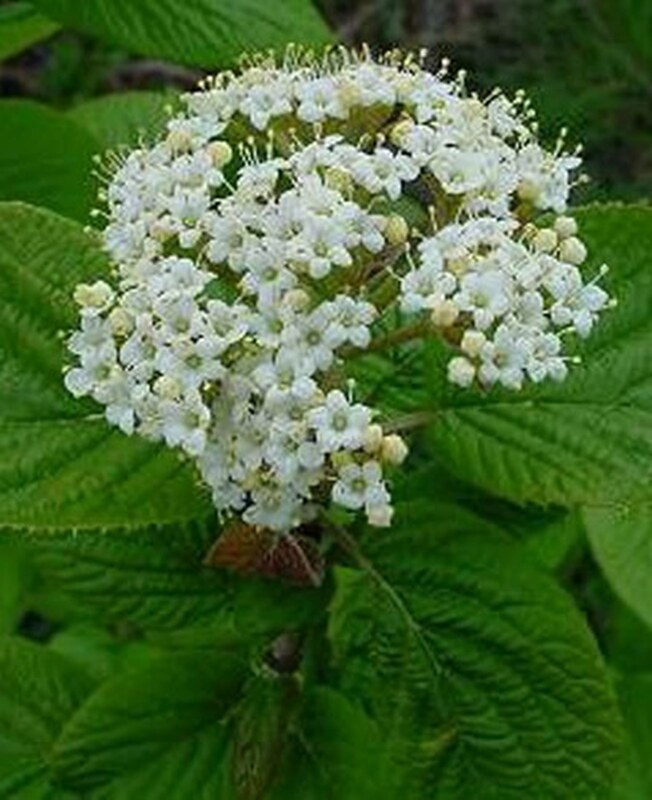 Wayfaring Tree - White flowers in Summer. Red fruits in Autumn. Excellent on chalky soils. 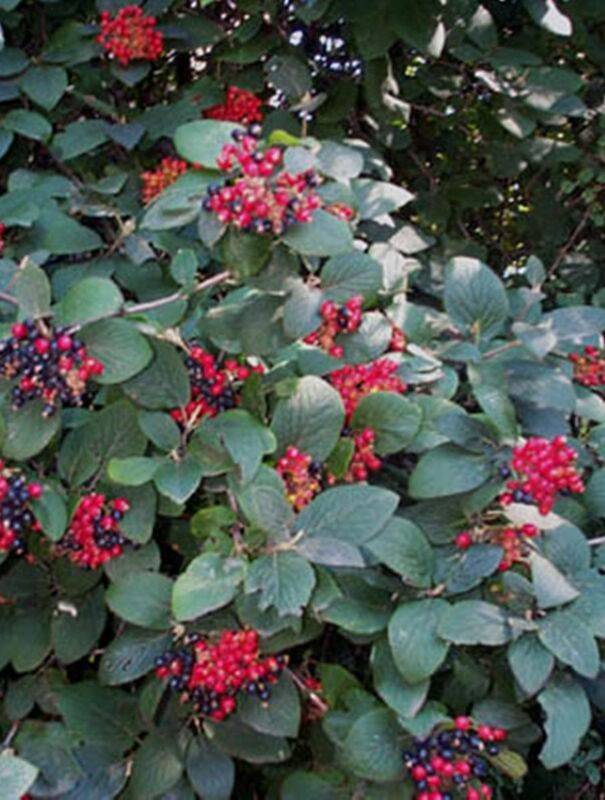 Viburnum lantana (Wayfaring Tree) is a large shrub or small tree with large downy leaves. 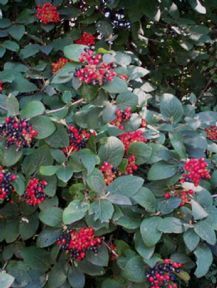 White flowers in early summer are followed by red fruits in autumn. Leaves turning yellow then red in autumn on some soils. Excellent on chalky soils. Usually used in mixed hedges. Plant in a single row, spacing plants 30-40cm apart. 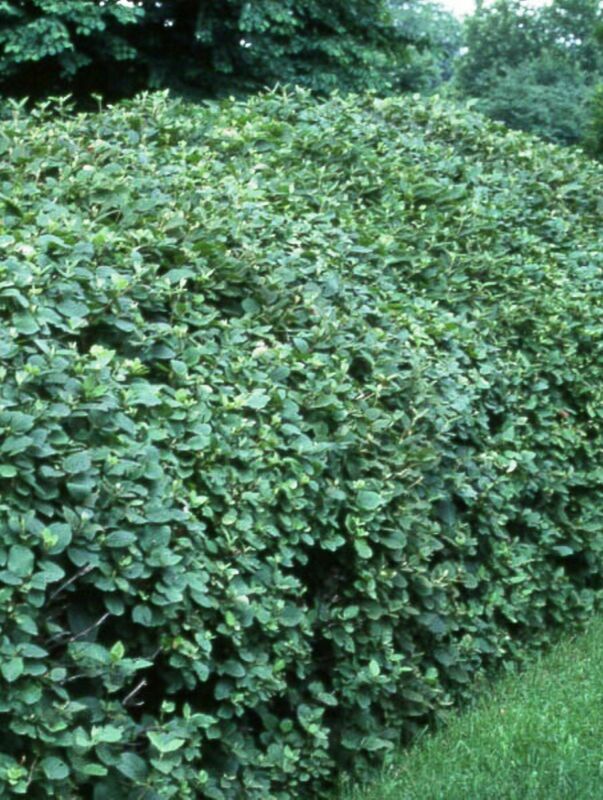 For a thicker hedge, plant a staggered double row, again spacing plants 30-40cm apart.